Olivia Hussey portrays the life story of Mother Teresa, the missionary who brought hope, love and salvation to the poorest of the poor. 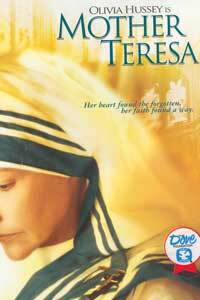 A strong force, Mother Teresa is unwilling to accept what others deem impossible. Her good works transcend hardships and eventually earn her international acclaim, including the Nobel Peace prize. The small miracles and humble triumphs of Mother Teresa will stir you in this emotional tale of a modern day saint.